Sometimes you just need someone to take all of your information and give you back something beautifully designed to send out into the world. Whether it’s a digital brand book, a printed lookbook of product, 30 pages of line sheets or an in-store denim fit guide, I helped the below brands get to the next level with a little design and a lot of heart. Ariel and I go way back, so I was thrilled to help her develop the collateral for her latest SS16 Collection. Shot by Trevor Hoehne, I designed a Look Book, Leave Behind booklet, Promo postcards and a revamp of her digital Line Sheets (to name a few). 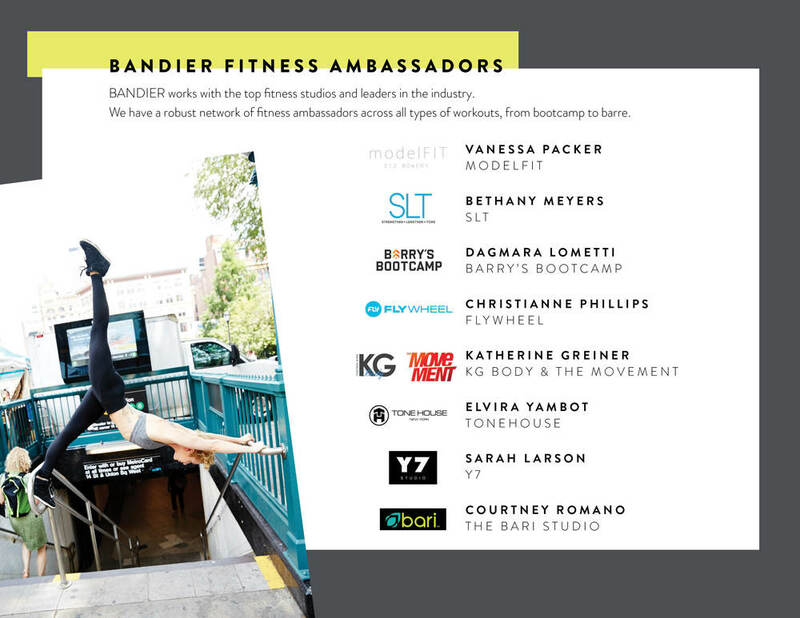 After hitting the ground running with only a year of business under their belt, Bandier was missing an inclusive digital Brand Book showcasing market research, their mission and accomplishments, press and social and plans for the future. After a few brand meetings and asset organization, I produced a 20-page document that could be sent to retailers and media outlets alike. Plus-sized brand, Fashion to Figure had never done a shoot outside of their midtown offices, but was looking to enrich their denim push for fall and their fabulous and highly sought-after facegirl, Denise. I called on my #girlcrew and produced a shoot of 14 looks and four denim styles. From these assets, I designed a trifold mailer and in-store collateral. In addition to the designed pieces, they were able to use the images on their social and digital extensions.